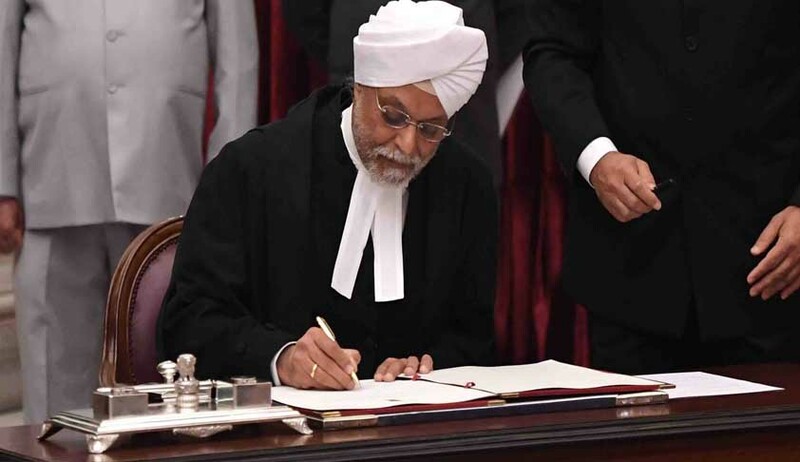 Chief Justice J S Khehar-led bench of the Supreme Court today said the apex court collegium has cleared the Memorandum of Procedure for appointment of judges to higher judiciary. Outside the court Attorney General Mukul Rohatgi said the collegium has sent the MOP to centre on March 14 and the central government is studying it. Bringing down curtain on a 17 month standoff with the Centre and also overcoming serious differences within itself, the SC collegium had finalised the MoP two weeks ago. After arriving at a consensus on Centre's stance that "national security" ought to be part of the criteria to determine eligibility for appointment as judges, the collegium headed by Chief Justice J S Khehar and comprising Justices Dipak Misra, J Chelameswar, Ranjan Gogoi and Madan B Lokur significantly also dropped its reservation about setting up secretariats in the SC and each high court to maintain databases on judges and assist the collegiums in the SC and the high courts in selection of judges. On January 30 Attorney General Mukul Rohatgi had urged CJI Khehar to dismiss the PILs contending that such matters should be dealt at the administrative side through constant interaction between the executive and the judiciary and not at the judicial side in open court. But CJI Khehar rejected AG's plea saying "once we entertained a petition we cannot throw it away like this. It cant be treated in a slipshod manner. We have to pass an order and they say they are espousing the cause of judiciary. So we cannot leave it and run away"
The bench however adjourned the matter by a month seeking a status report from the government on filling up of vacancies and decisions on long pending transfers.
" Now the MOP is cleared. On the increase of 25% strength in the number of judges in HCs we are trying hard. But the priority will be given to filling up of existing vacancies only then we can think about increasing the posts", the bench of CJI Khehar, D Y Chandrachud and S K Kaul said while hearing the PIL on judges appointment issue. CJI also informed that a committee of SC judges have also been constituted to study the need for more posts and to request increase of budget for judiciary. "Regarding the issue of increasing number of vacancies, a request has been placed before us and will be placed before the committee. So far as increasing number of subordinate court judges concerned there is a recent judgment of this court which has laid down process to be followed. There is no dispute there is large number of vacancies that are to be filled up.But the question of increasing number of vacancies arise only after existing vacancies are filled up"
On January 2O, his retirement eve, previous Chief Justice T S Thakur once again pulled up the Centre on the contentious issue of judges appointment and transfer. It was when the petitioner- filed by Lt Col Anil Kabotra-reminded that despite the order of the collegium way back in February this year, several judges of the High Court and Chief Justices have not been transferred and nearly 500 appointments to HCs were in limbo. “Why are judges not transferred despite collegium’s recommendation ? you must have plausible explanations… why are you sitting on it ..the files cannot languish..it has been ten months now..you have to take a decision. What is happening ? ?”, Chief Justice T S Thakur had told Attorney General Mukul Rohatgi. The CJI had asked AG to file a status report on the transfers and the reasons for the delay within two weeks. On November 18 fresh confrontation had set off between the Supreme Court collegium and the Centre on November 18 with the Chief Justice T S Thakur firmly telling Attorney General Mukul Rohatgi that the collegium has reiterated the names of all 43 judges for the High Courts whose candidature were sent back for reconsideration to the collegium by the Centre. “We (collegium) met last recently and we are reiterating all the names. The appointment may be made”, Chief Justice Thakur told Rohatgi. Centre had refused to appoint 43 of 77 names recommended by Collegium for appointment as HC Judges.